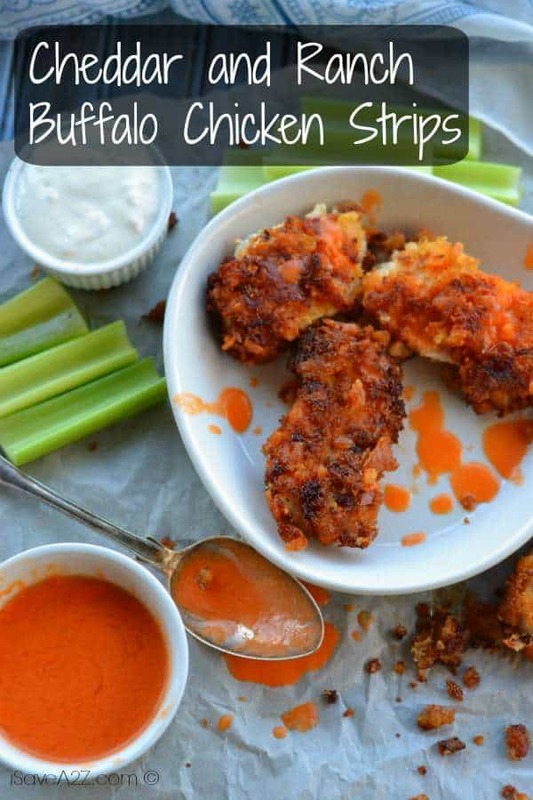 You are going to love these Cheddar and Ranch Buffalo Chicken Strips! They are amazing and flavor packed with so much goodness that you will have your entire family asking for them regularly. 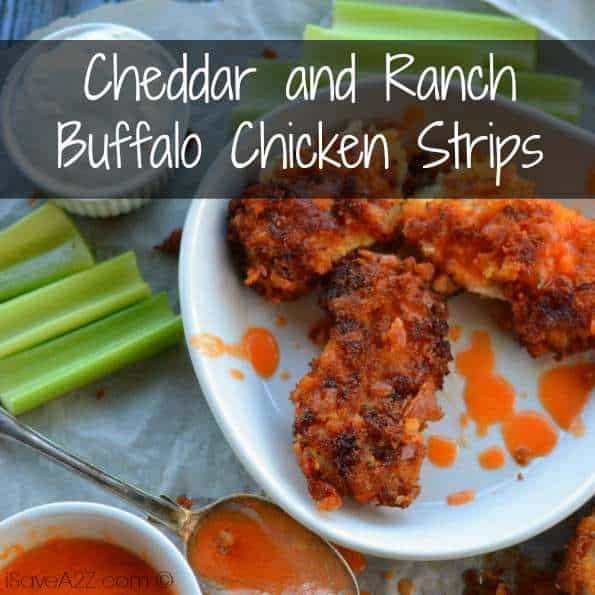 These buffalo chicken strips are amazing just the way they are, but you can easily make them keto friendly by substituting the Ritz cracks for pork rinds. I’ve tried them both ways and they are both delicious! Serve these chicken strips with a side of celery, ranch, and hot sauce to complete the meal for dinner tonight. Try them either way…you will not regret it! Trust me! Prepare the work area with 1 dish for the ranch dressing, 1 dish for the crumbled crackers and 1 dish for the cheddar cheese. Dip your chicken in the ranch dressing next dip in the cheddar cheese last coat with the crumbled Ritz crackers. In a cast iron skillet, coat bottom of the pan with oil heat oil on medium heat for about 5 minutes. Place your breaded chicken strips in the pan. Do not overcrowd. Cook on each side until golden brown and until the center is no longer pink (about 5 minutes on each side). While your chicken is cooking, melt your butter and add hot sauce stir until well combined. Get the printable version of these cheddar and ranch buffalo chicken strips at the bottom. By Jennifer on March 25, 2019 Chicken recipes, Recipes.